Photo(s) by theturtles.comThe Turtles headline the Happy Together tour, stopping in Manistee Saturday. MyNorth Media entertainment writer Ross Boissoneau dives into the tour that delivers hits and nothing but the hits before they stop at Little River Casino in Manistee Saturday night for a Northern Michigan music performance. The first Happy Together tour (though if memory serves it wasn’t billed as such) took place in 1984. Mark Volman and Howard Kaylan put together a band, including former Meat Loaf drummer Joey Stefko, revived the long-dormant Turtles name, and convinced some like-minded pals to go out on the road with them. Joining up were Gary Puckett, Spanky & Our Gang, and the Association. The concept worked, and subsequent tours featured a host of names from the 60s and 70s: Mickey Dolenz of the Monkees, the Buckinghams, the Grass Roots, Mark Farner of Grand Funk, Mitch Ryder, Garry Lewis and many others. Pucket became a mainstay, and Negron and Mark Lindsay (Paul Revere and the Raiders, “Arizona”) have been fixtures the last few years as well. The shows consist of 2½ hours of hits, more hits, and nothing but the hits. Each of the acts runs through a half-dozen or so of their signature songs, backed by the same well-rehearsed band. But for some, it’s more than a nostalgia trip. 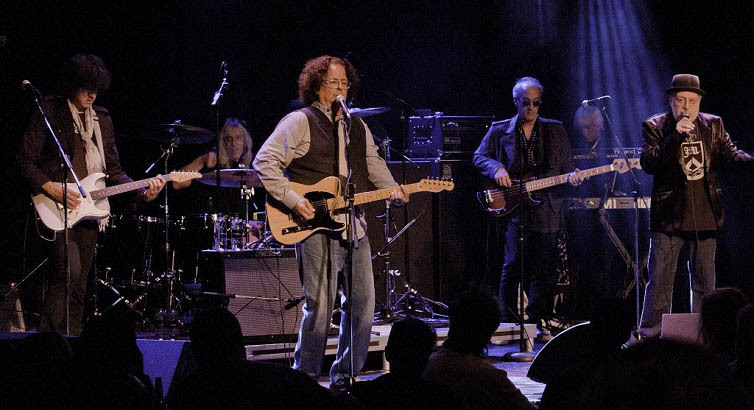 Mark Volman’s day job is as a professor at Belmont University, and several of the shows include members of his classes working the shows in tour management, stage management, audio engineering, tour accounting and merchandise sales. They are also involved in the load-in, setup, tear-down and load-out of the equipment, giving them a first-hand look at the entertainment industry. Saturday, August 20, 8 p.m.
Tickets start at $45. Go to LRCR.com.